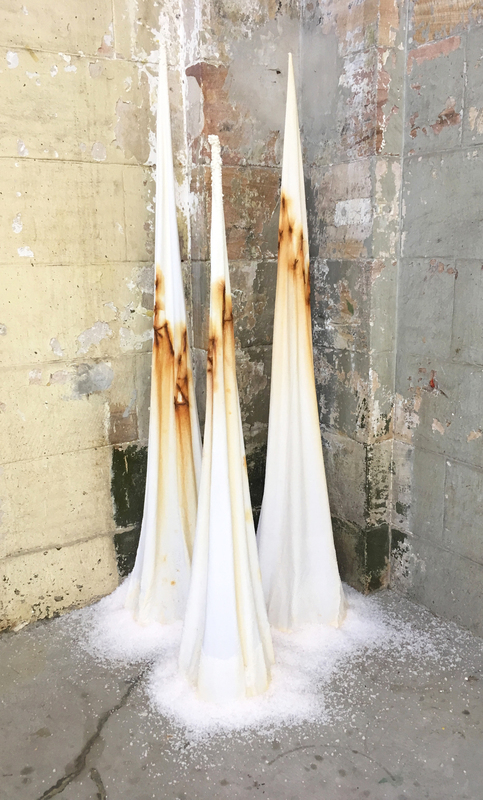 Tracey Clement, “equium tumulus sali multiplex,” 2018, salt, cotton, mild steel, multiple locations throughout the gallery, dimensions variable, max height 180 cm. 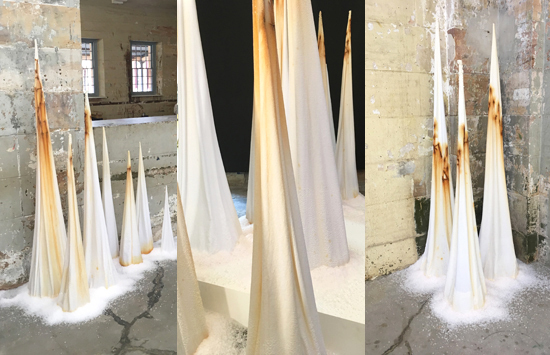 The ruined city is gone and the white cones of salt now spread throughout the gallery like satelite cities in an inorganic termite colony. The dodgy Latin of the title equium tumulus sali multiplex is a nod to the naming conventions of science, one of the many strategies we use to attempt to tame and control the natural world.